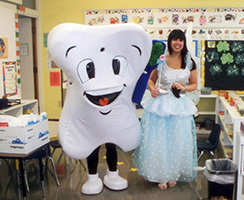 Dental presentations available for local Kansas City Northland children, parents, physicians groups, day cares, schools, health organizations, and scouting groups who would like information and education about children’s dental health care. 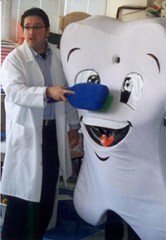 Dentistry For Children’s Tooth Fair and Molly Molar will come along with one of our Dentists for a 20 – 30 minute presentation. Please call Kansas City Northland’s Dentistry For Children (816)548-3400 for more information to schedule a presentation or a tour of our Pediatric Dentistry.